Happy 2nd Birthday to the Princess of my family. The smile on your face provided me enough love to get through another car ride home with Grandma Plaintiff… the squeal of your laughter brought joy to this old heart of mine. A new trike? For ME! REALLY! Pushing you around the neighborhood I attempted to teach you that with a simple kiss anything is possible. I’d stop. I’d lean over and tell you that Grandka was out of gas and needed a kiss to get going again. You gladly provided the payment… soooo many times… but as we neared the house again, I discovered that the trike was so yesterday…. Bubbles!?!?!? 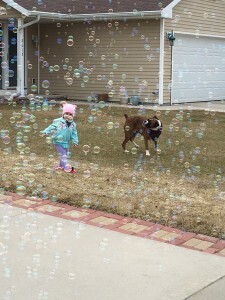 I *LOVE* Bubbles! Who doesn’t love bubbles? Trike? What trike? Off the trike you came and went flying to the bubble factory! 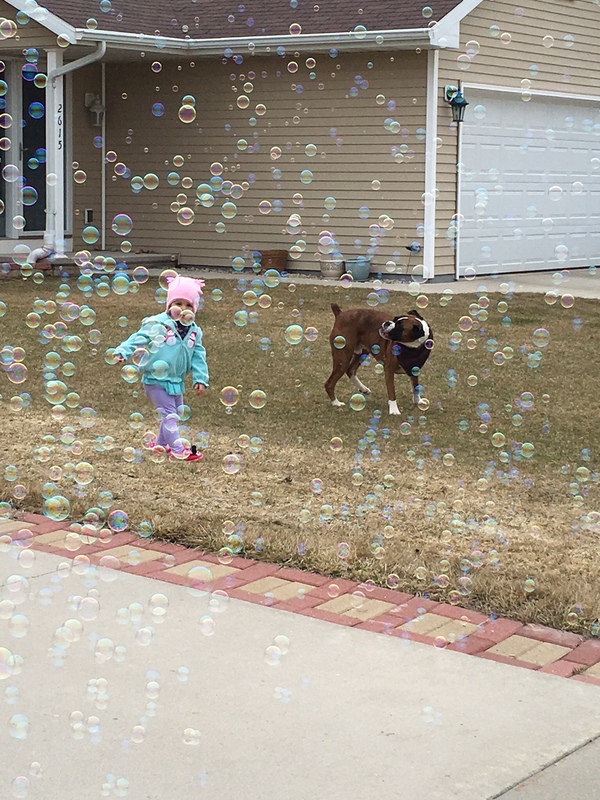 Gunner and you had a great time playing with the bubbles…. 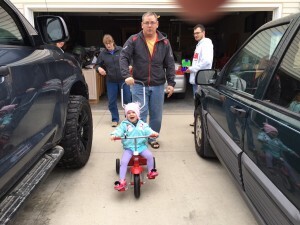 PS> Please remember that the trike, Minnie Mouse blanket, etc are all from me and not from Grandma Plaintiff.